The person who hates you thinks about you double the times than the person who loves you. 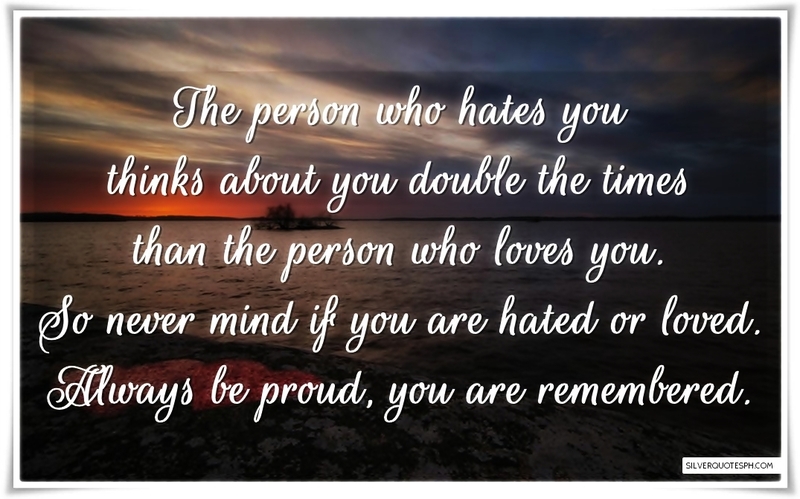 So never mind if you are hated or loved. Always be proud, you are remembered.